Prime Minister Theresa May to call for the international community to come together to prevent the erosion of norms around a range of threats. 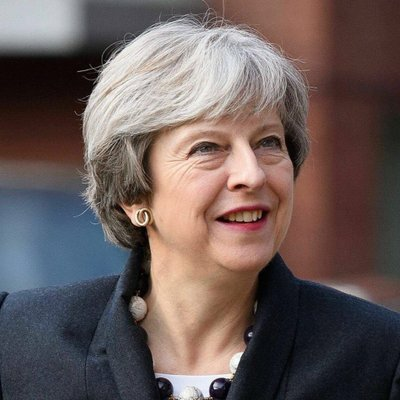 Prime Minister Theresa May will use her platform at the UN General Assembly (UNGA) this week to call for the international community to come together to prevent the erosion of norms around a range of threats whether from malign states, weapons of mass destruction or chemical weapons. In particular, the PM will warn that the red line around the use of chemical weapons use is being undermined – and that steps need to be taken to re-establish it. Speaking at the UN Security Council on Wednesday, the PM will set out how UK leadership has had a positive impact but that the international community needs to redouble its efforts. As we meet in the UN Security Council this week, the red lines around the use of chemical weapons are being eroded. The Syrian regime has repeatedly used these appalling weapons against its own people while the Russian state has deployed them on UK streets. Attacks such as Salisbury and Ghouta are despicable in their own right, but they are also a threat to the wider international system. Each time we fail to challenge the use or development of weapons of mass destruction, it erodes the framework of treaties we have built up so painstakingly over the past few decades. The UK has, in recent months, played a leading role alongside our allies in reinforcing these longstanding, global norms. UK, US and French airstrikes in April degraded Syrian chemical weapons capability and demonstrated our collective resolve. And in June, the international community empowered the OPCW to attribute responsibility for chemical weapons attacks in Syria. We worked closely with our allies on a co-ordinated response to Russia’s use of chemical weapons in Salisbury, resulting in 28 countries as well as NATO joining us in expelling a total of over 150 Russian intelligence officers: the largest collective expulsion ever. But the international community needs to do more together - both to prevent future chemical weapons use and to ensure those who use them are held to account, but also to tackle the range of other threats to global security, including the proliferation of WMD. The intervention will be the first time in five years that a UK Prime Minister has used the platform of the UN Security Council to speak about the importance of preventing the spread of chemical and nuclear weapons, as well as other weapons of mass destruction. It reflects the UK’s commitment to tackling the unacceptable use of chemical weapons following the abhorrent attack in Salisbury, and the attack in Syria by the Russian-backed Asad regime. Today the PM will call on the international community to invest in Africa, in order to unlock the potential of a generation on the continent. She will join Prime Minister Justin Trudeau of Canada, President Nana Akufo-Addo of Ghana, and President Paul Kagame of Rwanda to convene investors, businesses and young African business leaders. The leaders of Kenya, Mozambique, Nigeria and Sierra Leone are also expected to attend. Philanthropist Bill Gates, who shares the PM’s vision for investment in Africa, is also expected to speak at the event. The PM will challenge attendees to invest in Africa to create more of the jobs that transform individual lives as well as economies, lift people out of poverty and enable countries to move to a future beyond aid. The Prime Minister will also hold a number of bilateral meetings with world leaders during her time in New York.